Often, many of us run low on time and that results with making bad food choices. I am sure we all have been there. I know my husband and I have at least. 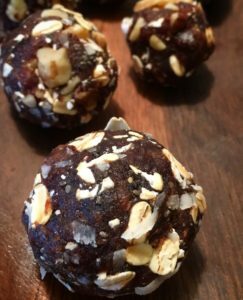 That’s okay; I’m here to give you a recipe for a quick energizing healthy snack that you can make ahead of time in quantities. If you love dates like we do; these will be addicting. Try to control yourself! 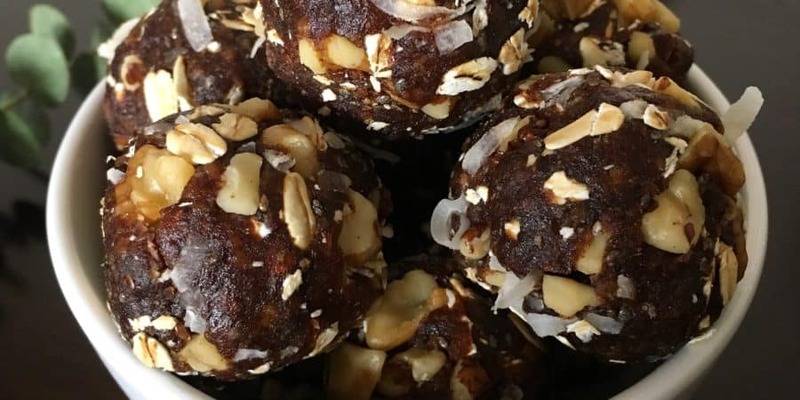 Are you ready to see how easy it is to make these Energy Date Balls? Just combine everything together in a processor for 10-15 seconds. Then form small balls using your hands. Or if you have the date paste ready; you can add the rest of the ingredients to that in a bowl and mix with your hands. Then make the balls. This is the method I used.